How to Buy or sell stocks for FREE ? With stock brokers you pay a commission every time you make a trade(buy or sell). 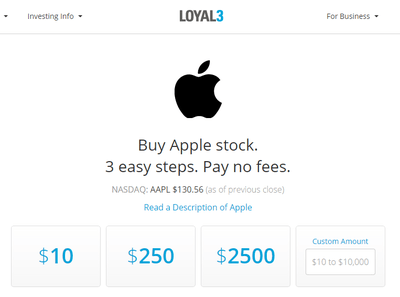 With LOYAL3 you pay no fees, so 100% of your purchase goes toward buying stock. LOYAL3 has no hidden fees. LOYAL3 makes it easy and affordable for everyone to invest in well-known companies or stock IPOs (Initial Public Offerings). It’s a cheap way to get started investing in the stock market. Accounts are held at LOYAL3 Securities, Inc. Member FINRA, SIPC. Trade orders are not handled real-time basis : LOYAL3 uses daily batch/combined order process and executes trades once a day. Since LOYAL3 uses batch trading, it is not designed short-term investors who wishes to time the buy and sell orders with market move. Since LOYAL3 uses batch trading at specific time on a day, share price at the time of execution will likely be higer or lower thatn the share price at the time order was placed. Batch trading is a process in which trade orders from multiple LOYAL3 customers are combined before being placed in the market. Buy orders are batched and executed twice daily, and sell orders are batched and executed once daily. Share price at the time of execution will likely be higer or lower thatn the share price at the time order was placed. Previous post: Why are 1099-B and 1099-DIV issued?